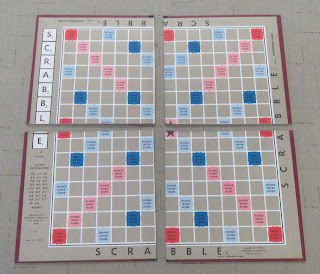 I'm always on the lookout for Scrabble games when I visit thrifts shops. 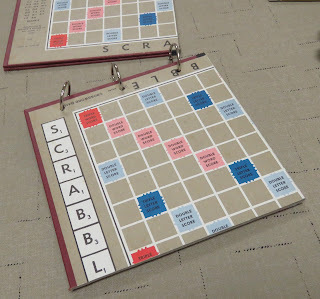 I have several different projects to use the letter tiles and stands, like this one. 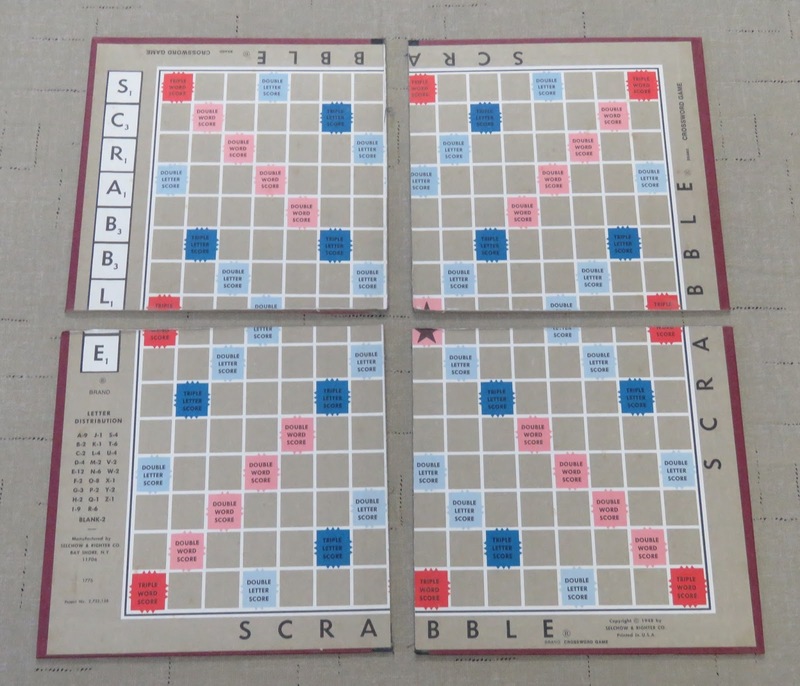 But once I've used the game pieces, I still have the board. 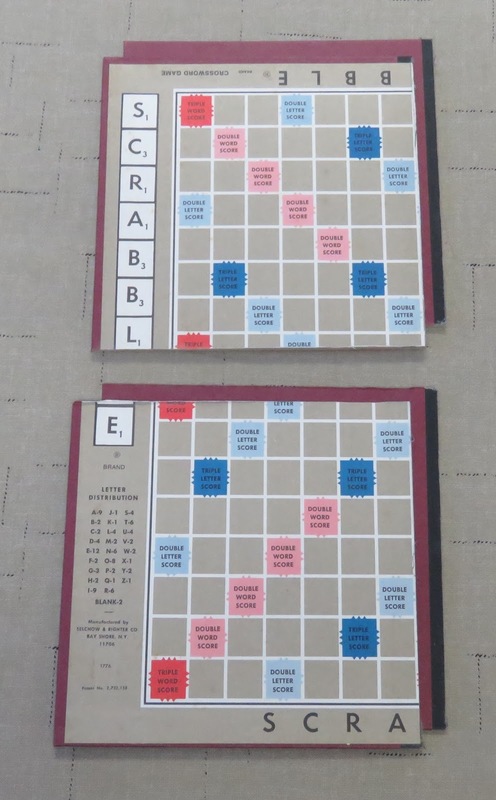 A journal using the board as front and back covers makes a unique gift for someone special - and for yourself, since each board makes two journals. 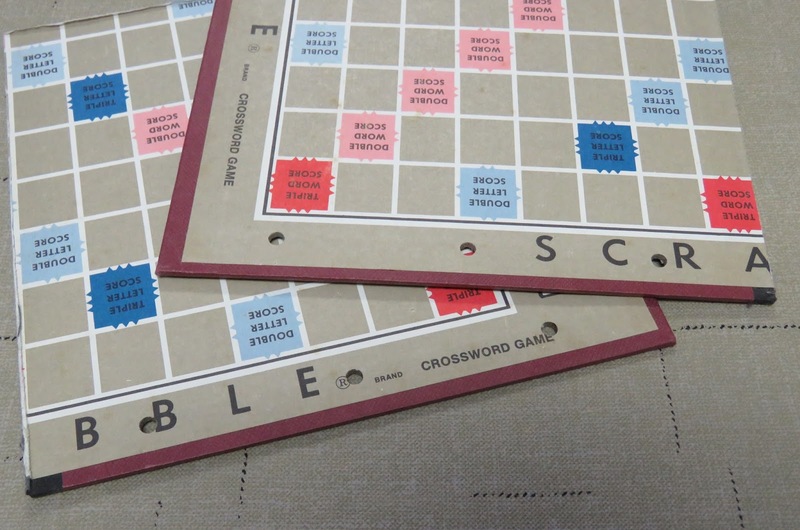 To begin, cut the board into four equal pieces using whatever saw or cutter works best for you. I went out to the shop and used Danny's scroll saw, and it took about 2 minutes per cut. Trim down the edges and sand them smooth. Then cut card stock just smaller than the size of the covers. 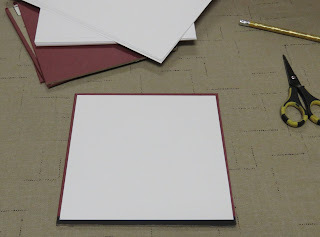 You have several choices from here: you can used colored card stock and layer it with decorator paper, or you could cover each white page with card stock or decorator paper to make each page sturdier or you could cover the white page with lined notebook paper to make it straight into a journal. Once you've decided what you want to do with each page, punch matching holes in the covers and card stock. Punch the holes after the pages' backgrounds have been added so the entire page is covered. Otherwise you will have a white edge on the side of the page. The holes need to be slightly bigger than the binder rings you plan to use so the pages can easily turn. Then decorate the pages in your favorite colors and themes, and tie different sizes and colors of ribbons to the rings. Then it will be a gift that will continue to give a new memory every day it is used.